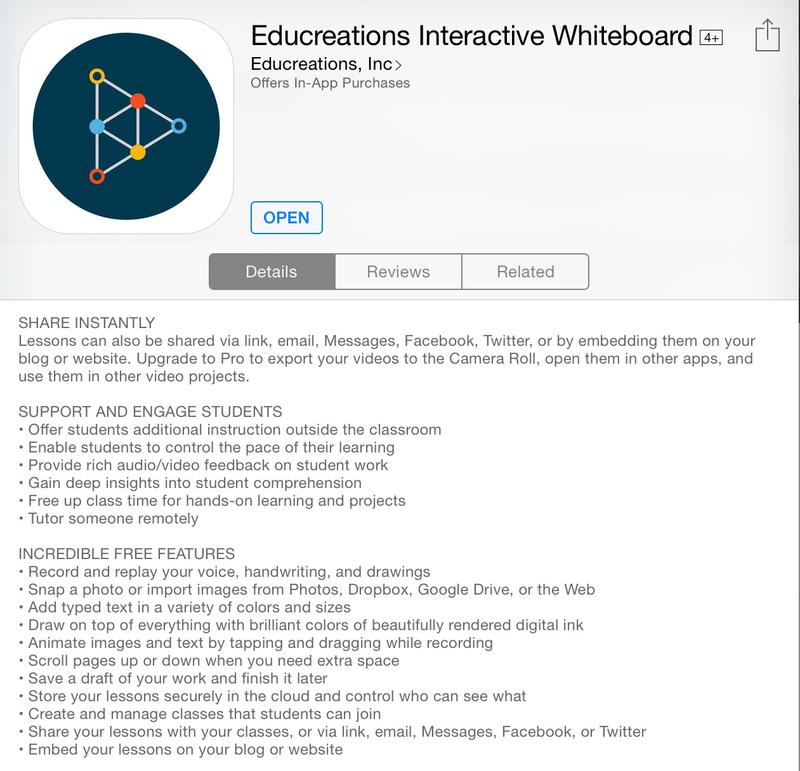 Educreations is a FREE app that turns your iPad into a recordable whiteboard. It allows you to insert images, record your voice and anything you write. As a result, you can produce your own video lessons that you can then share online. Ideal for a flipped classroom approach to setting homework or for providing students with revision materials prior to exams. Whatever you create is then stored online and can be accessed by students on a computer or iPad both at home and at school. There are also a wide variety of Educreations created by others which you can use as well. Help students with homework by working through an example problem. 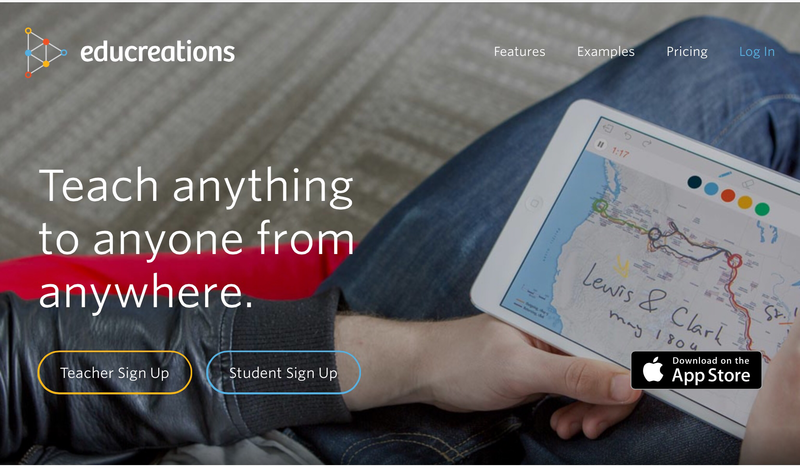 Put your lessons on the web so students can watch them before and after class. Want to have a try at creating one yourself?